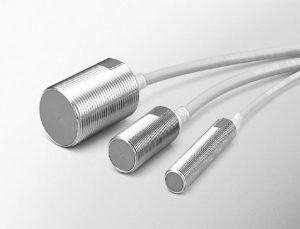 FL7M-A Series DC 2-wire Aluminum Chip Resistant Cylindrical Proximity Sensors. The FL7M-A is an aluminum chip resistant DC-2 Wire cylindrical proximity sensor that detects work pieces reliably even if aluminum or cast iron chips accumulate on the sensing head. These can be directly connected to programmable controllers and N.C. units and have a tough IP67 seal.